Do you have an Amazing Mom? Say it with Anding's! Mother's Day has always been a special day for me, then as a daughter and as a granddaughter and now as a mother. I'm a sucker for flowers, so much that I passed on the tiara and wore a flower crown instead on my wedding day. My husband used to surprise me with roses back when we were still boyfriend/girlfriend. 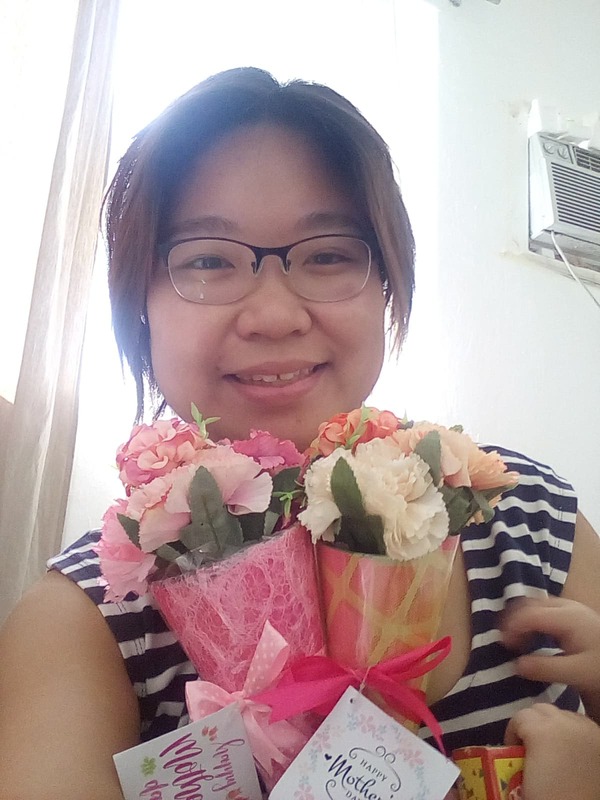 And with all the bigas memes circulating in the internet, I am still an old soul who loves receiving flowers. So, imagine my excitement as I opened a package coming from Anding's Toys and Flowers Inc. (ATFI) and found, not one, but two beautiful flower arrangements inside that greeted me a "Happy Mother's Day!" ATFI has been around in Divisoria since 1972. 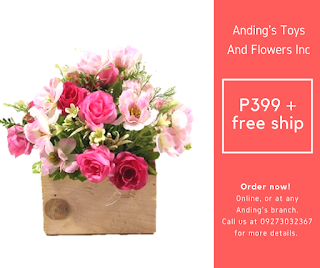 Aside from their toys and decors, they also offer affordable flower arrangements for all seasons and occasions. The flowers are artificial but they're so beautifully done. 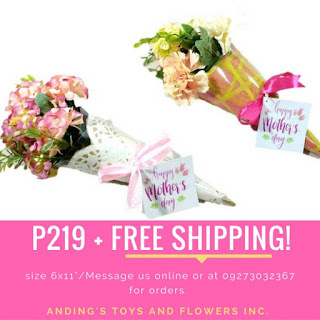 Dahil sa flowers nila, naniniwala na akong may forever. 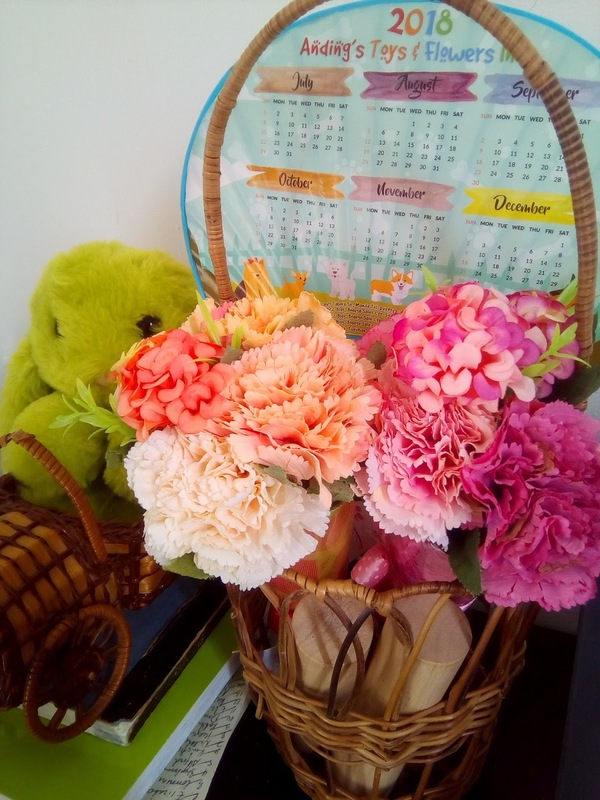 :) I borrowed my son's baskets, so I can see the flowers on my workstation everyday. Just look at them! They can brighten up any room. 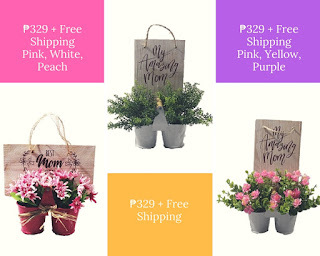 Since Mother's Day is just around the corner, why not surprise the special moms in your life with a flower arrangement from ATFI? They can be your mom, your wife, your lola even your mommy friends. Surely, there's a mom or two in your life. 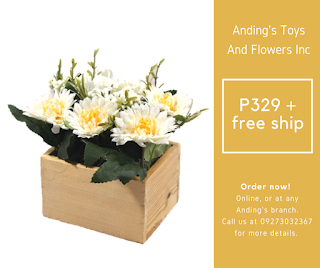 :) They have five arrangements for this season and they're offering free shipping along with it. Isn't that the best deal? Advance Happy Mother's Day fellow mamas!